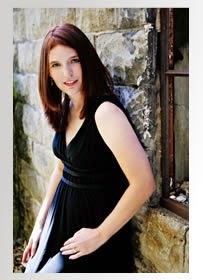 Two Chicks On Books: Blog Tour- THE FALL by Bethany Griffin and a Giveaway! 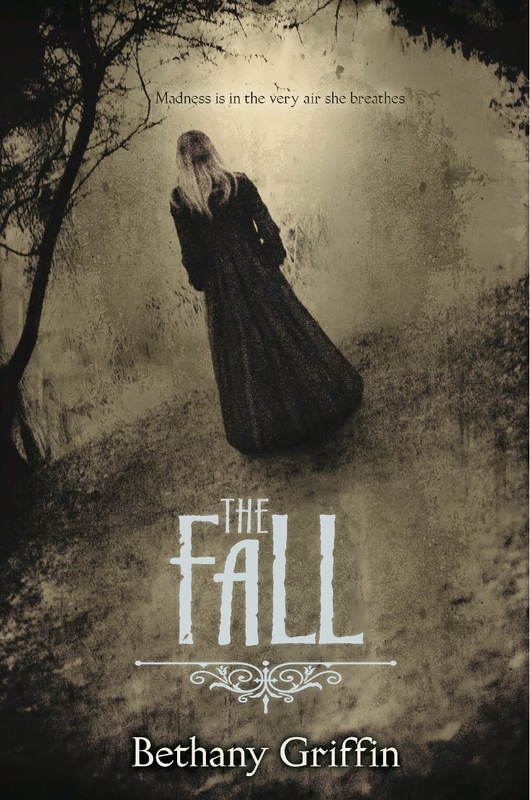 Blog Tour- THE FALL by Bethany Griffin and a Giveaway! Hey y'all I'm thrilled to have Bethany Griffin here today she's brought her favorite quotes from her new Poe inspired book, THE FALL! If you read her debut series The Masque of the Red Death you'll know that Poe heavily inspires her writing! I love her books they're beautifully written and dark and haunting! Oh and make sure to stick around and enter the giveaway! Haven't heard of THE FALL? Check it out! Top Ten quotes from The Fall….There actually seem to be 11 here, including one fairly long one. Hahaha that's ok the more the merrier! Reaching up, my trembling hand gets just a few inches before my fingers touch cool stone. I blink. My lashes spider-touch my cheeks, and then that touch is gone, so my eyes must be open. The dull, compressed darkness is so absolute that I cannot see my shaking hand, even as I bend my elbow and press my fingers against my right eye, and then my left—gently, very gently—to make certain both still rest in their sockets pgs. 1-2. I throw back my head and scream. Somewhere in the house above, there is one who hears me. The one who buried me alive. Pg 4. I pad across my room to the heavy wooden door. Through the floor I can hear the house breathing. I position a thick book to keep the door from swinging more than half open. My candle flickers. I must have the door positioned correctly before it goes out. Taking two steps back, I survey the room. The half-open door still feels…wrong. I adjust it, nudging the book with my foot. It creaks louder than a door should when moved so slightly. I rest my hand against the wood—too long because feelings seep into me that are not my own. The house wants me to open the door. To put the book back on the bureau, to straighten the rug. The house hates closed doors. But completely open doors are as terrifying as being closed in with…whatever might find its way into my room. There are things, living and dead, creeping through these halls, and I’d rather they ignore me as I sleep… Pgs 5-6. The stories are part of this place; they flutter around me like moths, dark and bloated, the size of my father’s hand. Pg 7. Roderick laughs as the wind blows old autumn leaves down from the overhanging eaves of the house, and they scatter around us like dismal confetti. Pg 43. I touch the skirt of my dress, where the lace has deteriorated. Something about a hole in lace asks to be touched and expanded. Like a half-healed wound. Pg 52. I’m lying in Roderick’s arms. The knife is on the floor, and I see blood on his white shirt, but I feel nothing. The house wanted this, but I don’t know why. “The house isn’t haunted,” he says. “But I am.” Pg 137. I look even closer. Now I see my flower garden, a verdant clearing, and at its center, a lone dandelion. My own garden at the beginning of spring. The picture has changed to encompass the small changes I’ve made. Hope surges within me. I can change the future if I want to badly enough. Pg 152. The candles flicker out, one by one, and a loud creaking sounds from all around us, as if the room is rearranging itself. Roderick grasps my shoulder in the sudden darkness. At the same time, Dr. Winston’s hand brushes my side and then falls away. Pg 262. The machine is pumping, pumping, pumping. The bellows puff air in and out. Something moves through miles of tubing, slow and sluggardly. It is my blood. I look down at my wrist. It is dripping; one drop after another falls into a wide pan below me, and then funnels into more tubing. It’s all made of sheep’s guts, I know, because I asked Dr. Winston once. Pg 305. Roderick and I are lying on the floor of the drawing room. We are reflected in the great baroque mirror that covers the interior wall. The top of my head meets the top of his head, and we create a straight line. He has let his hair grow out a little, and our hair, twined together against the black rug, sparkles. It is impossible to tell which is his and which is mine. Pg 337. Thanks Bethany for the awesome post! I love all of these quotes! I just added this to my TBR shelf yesterday. I'd LOVE to win!!! I haven't read any of her books but this one sounds awesome. This has been on my TBR and I can't wait to read this. Congratulations on your new book! i would love to win the HC of this books...i enjoyed the excepts..